This gorgeous crystal pendant brings love and help in maintaining relationships. 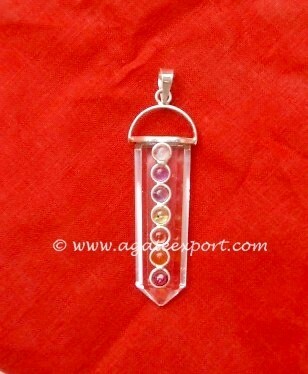 Agate export brings you Crystal Quartz Pencil Chakra Pendant. The seven stones in this pendant symbolize seven chakras in your body.